Sometimes, all you need to keep company operations coasting along is an infusion of funds. Business revenues may be low, and it might become difficult to sustain daily operations, especially when you have to deal with overheads like salaries, power and gas bills, parking, monthly maintenance charges, pantry and stationery supplies, etc. At this juncture, you could consider borrowing a working capital loan. This business loan can keep your company operations running on autopilot while you pitch for new business in the coming months. 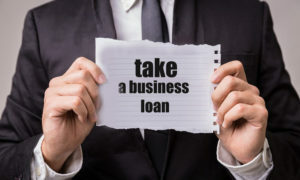 Every company needs business loans to grow, but most banks and financial institutions will be sceptical about lending large loans to small firms. However, every company needs to borrow money periodically to put its plans into operation. The key lies in starting small – a small business loan is easier to work with, and also easier to repay. Once your company has repaid its borrowing on time without a single default, the lending institution will become more confident about approving bigger business loans for the future. Meanwhile, this habit of borrowing money and repaying it as stipulated helps your company build sizeable credit for large loans in the future. Next Post:How Short-term Debt Mutual Funds are Beneficial ?